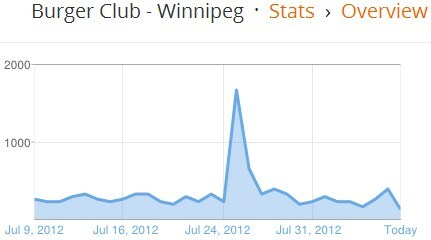 Burger Club has hit the big time! 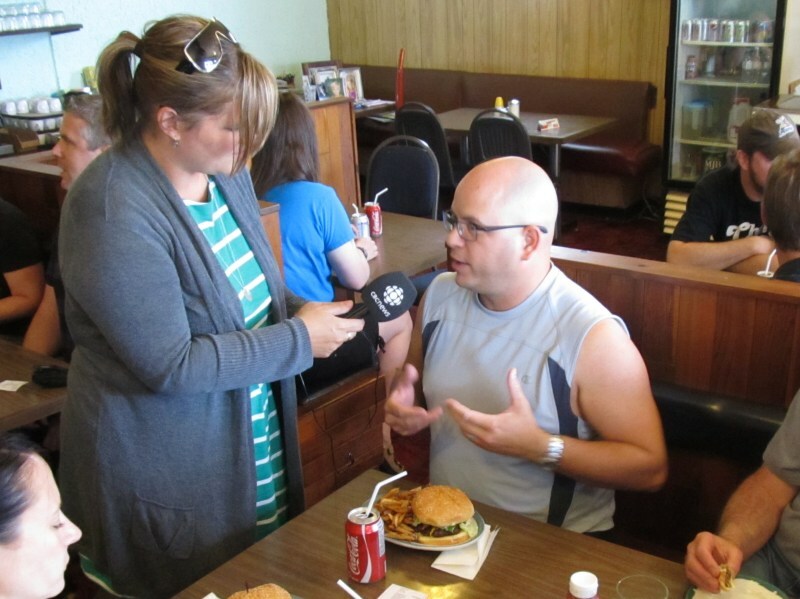 Marcy Markusa from CBC joined us for a burger and an interview at Sonya’s. When Marcy first contacted me, Burger Club was in the midst of revisiting our Top 5 burgers and of course I thought she should come for Winnipeg’s Best Burger at Sonya’s! 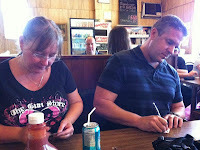 Sonya’s is truly a mom-and-pop shop, so the first thing I did was check with Steve that they could handle 16 of us coming for a burger at once – and the additional promotion that would come from CBC. 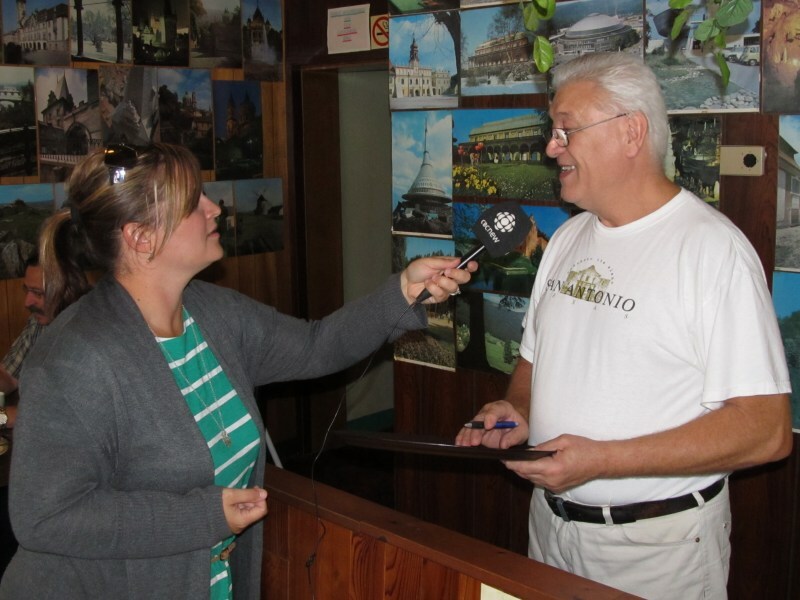 Steve was all for it! 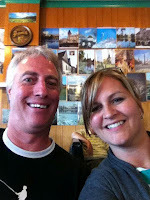 He even made sure I spelled their names correctly: Steve and Vera Vodrazka. 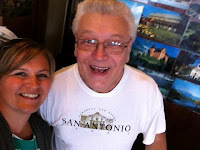 I learned from Marcy’s interview that Steve is a spry 71 and they’ve owned the restaurant for 25 years. 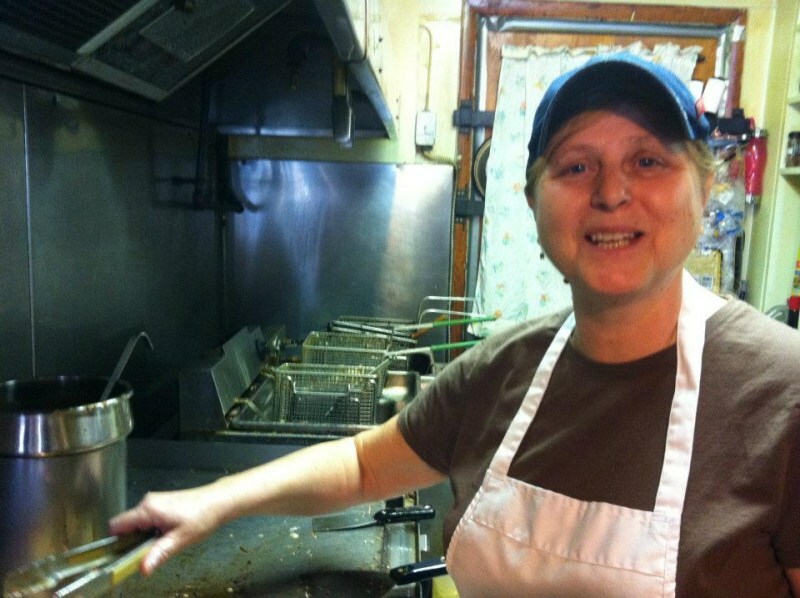 It’s amazing how many people drive right by this “undiscovered gem” without seeing the restaurant at the corner of Henderson Hwy and Hart Ave. Marcy even went into the kitchen and met the hard working Vera at the grill. Steve asked that people order as they arrived so Vera could get started cooking and they’d bring out the food as it was ready. 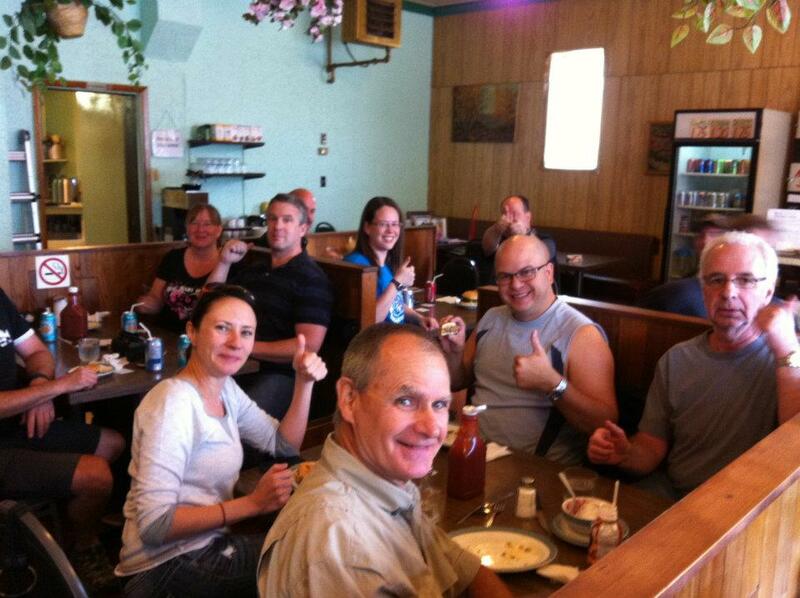 That’s what we did and it worked out well – we didn’t have to wait too long for our burgers. At Sonya’s the burgers are freshly made and served steaming hot but don’t be in too big a hurry because it’s only Vera at the grill! 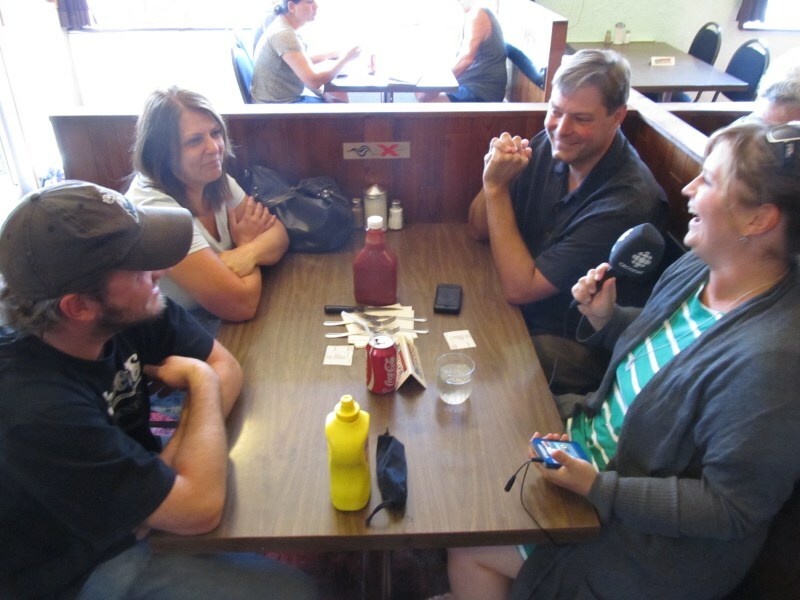 When Marcy made her entrance she burst into the restaurant, microphone first, with a big “Hello Everyone! Where’s Burger Club?” We’d saved her a seat and she was full of energy and questions. It was mayhem! Steve was bringing out some of the first orders, others were ordering and Marcy was making radio! On a geeky note, Marcy’s sound rig consisted of an iPhone and a big CBC mike. How cool is that! Marcy took the time to talk to everyone in Burger Club, Steve and Vera as well, and quite a few of us made it onto the air. We’d only just met, but it seemed to me that Marcy *really* enjoyed her burger: “Holy life changing. Lived near Henderson Highway many years. Never had a burger at Sonya's until now. 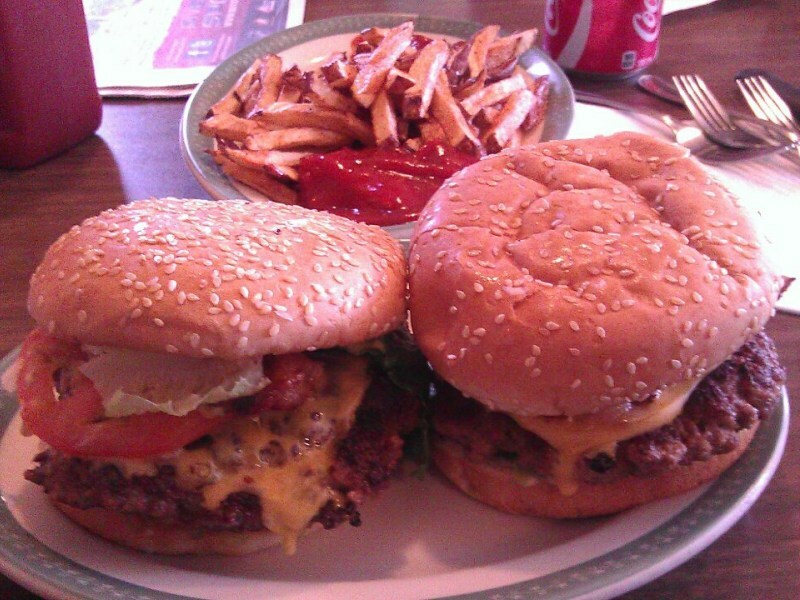 Worth every drip of meat sweat. Good times. 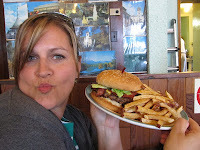 Thank you Winnipeg Burger Club!” Marcy is now one of us – you’re welcome at Burger Club any time! 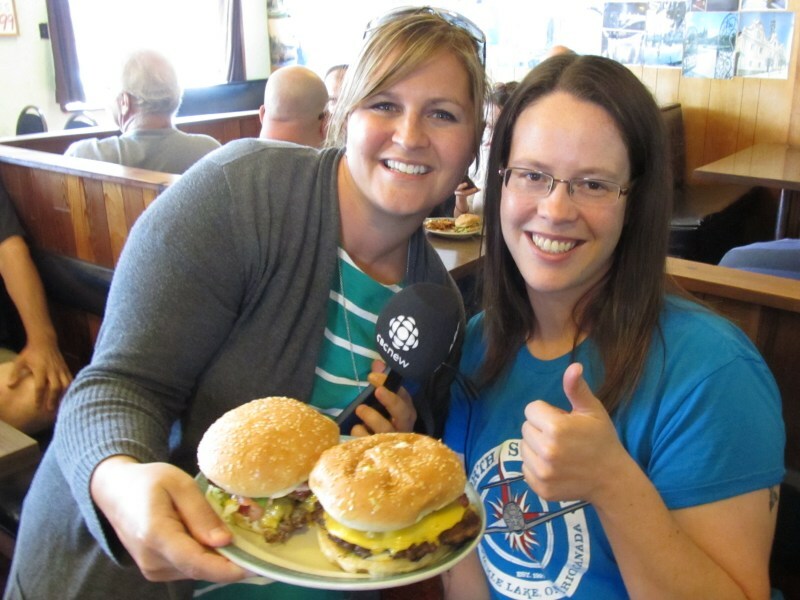 Marcy said some kind words about the blog and here’s what happens when CBC comes to Burger Club.